[su_dropcap style=”light” size=”5″]S[/su_dropcap]ometimes companies seem to appear overnight, or spontaneously come up with a solution to a problem you didn’t even know you had. In these scenarios people should remember that the spotlight only shines on those who have made the grade. The work, pain, risk, heart and drive to get to that point rarely attracts focus. 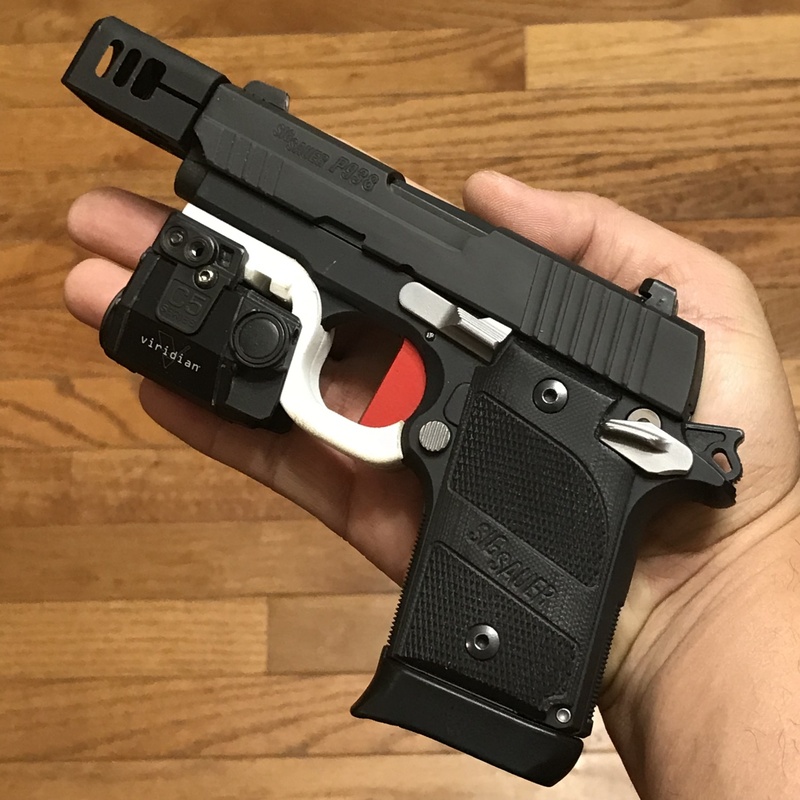 Battle Comp Enterprises, maker of compensators, is one of these companies, although I might be several years too late bringing about that point. Nonetheless, not only did they appear onstage in 2010, but they have managed, against all national economic challenges, to grow and continue providing products that cure problems you didn’t even know you had or, possibly, had been struggling with all along. In an exclusive interview with Alan Normandy, owner, founder and co-inventor at Battle Comp Enterprises, I found out that Normandy is a fellow comrade from the thin blue line. Retired from the South San Francisco Police Department as a lieutenant with nearly 30 years in law enforcement, many of his activities included being a founding member of the SWAT team, founding the Peninsula Rangemasters Group and being a chief firearms instructor at his department from 2000 to 2007. Highly educated, Normandy has completed graduate work from the University of San Francisco, as well as Henley-Putnam University, a school specializing in counterterrorism and security management. Among his hobbies, Normandy sits on the board of directors for the Firearms Policy Coalition (a grass-roots organization that raises funds to lobby for American civil rights as gun owners), and is one of the original firearms safety consultants hired by the MythBusters TV show on the Discovery Channel. I really want to know how he got that cool gig! 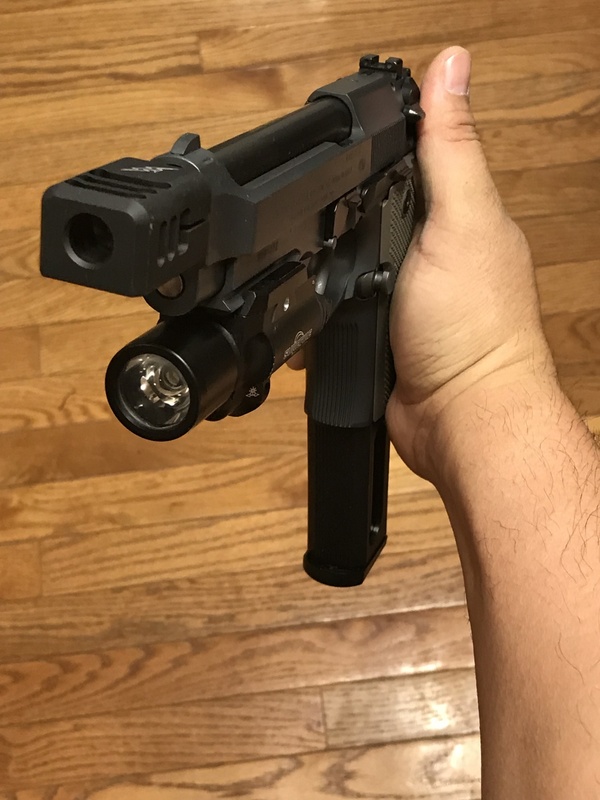 Personally, I own two BattleComp compensators but knew nothing about the company. 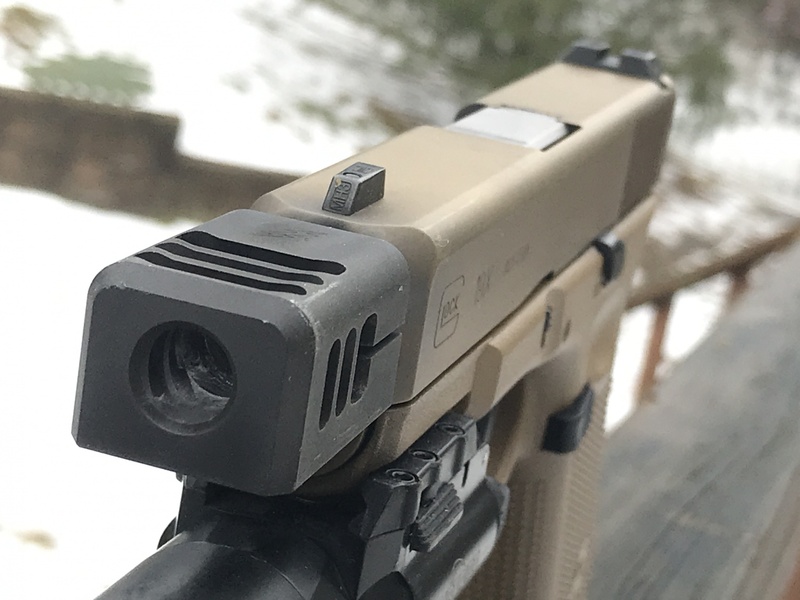 What I did know was that when I started using The BattleComp (their first product), my back-on-target speed increased dramatically due to some of the impressive features that reduce muzzle climb. I still remember walking onto the line at the range with my AR15, taking a quick series of 15 shots and thinking “Whoa!” I have been a fan ever since. I’m passionate about the people behind our gun industry and Normandy was gracious enough to provide this interview, as well as provide an inside look at the people who make it great. American Shooting Journal Hello, Alan, and thank you for talking to me. If you had to describe Battle Comp in one sentence to people who do not know who or what you are, what would you say? Alan Normandy Battle Comp Enterprises is a veteran-owned small business made up of former military and law enforcement officers. 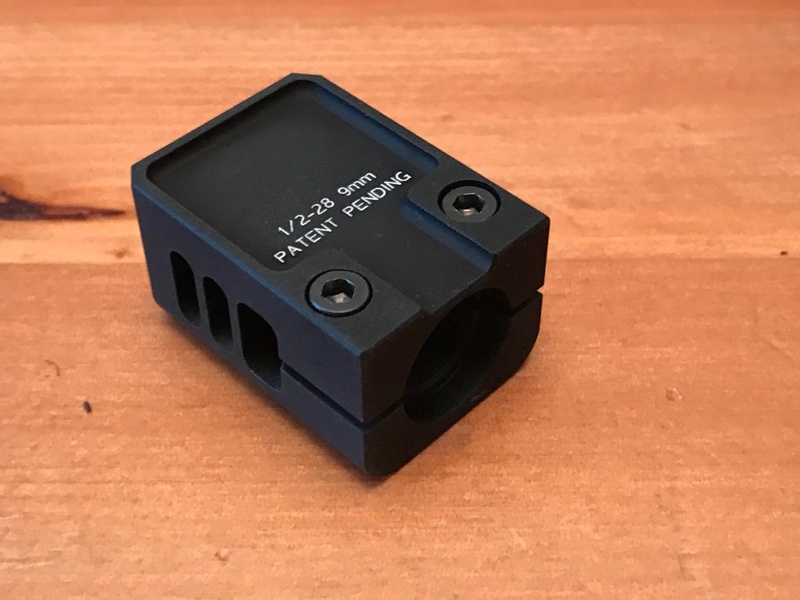 The original BattleComp is a hybrid device intended to span the bridge between muzzle brakes (used for reducing recoil) and flash hiders (used for reducing muzzle flash or visual signature). We are also a strident supporter of the Bill of Rights and the Second Amendment. ASJ I’ve mentioned that it is the people in the industry who I’m interested in – who are they, where do they come from and what fills their lives each day? What do you do and what fills your days? AN My life is pretty steady and uneventful. I’ve never really liked being in the spotlight, since it isn’t about me. I didn’t even use my name on Facebook until I was forced to do so by their platform. My family is currently making the transition from suburban life to country living, and we are enjoying the freedoms we have in Arizona. My life outside of work includes hunting, fishing and running a working farm. We grow our own fruit and vegetables and raise chickens for eggs. My wife is a great cook and we love to experiment with cuisines and fuse cultures for fun. My wife makes a Korean and Mexican taco that would knock your socks off! In some ways, we are both like mad scientists. ASJ Do you have children? Alan Normandy of Battle Comp with his daughter. She may not be strong enough to hold it yet, but she can certainly pull the trigger of her expertly compensated AR. We spend a lot of time playing cards – Euchre and poker – and board games with family and friends in an effort to build new memories of a bygone era when families actually spoke to each other and shared dreams. My kids love Calvin and Hobbes, as well as anything remotely involved with superheroes. It’s cool that our daughters appreciate the classic morality plays of good versus evil and power and responsibility, even at this tender age. Most of the time I’m really just the chauffeur. ASJ Do you have any pets? AN We have a seven-year-old female cocker spaniel named Popo, which means “kiss” in Korean. My wife is Korean and she chose the name. Most folks think Popo is based on the urban slang for police, but my wife didn’t even know that when she named her. We raise chickens, but they’re not exactly pets. The kids name them things like Chicken Nugget, Noodle and Niblet. We will be getting some koi for our pond, and eventually want a goat as an organic lawn mower that acts like a dog. Maybe the kids will name her Feta or something. 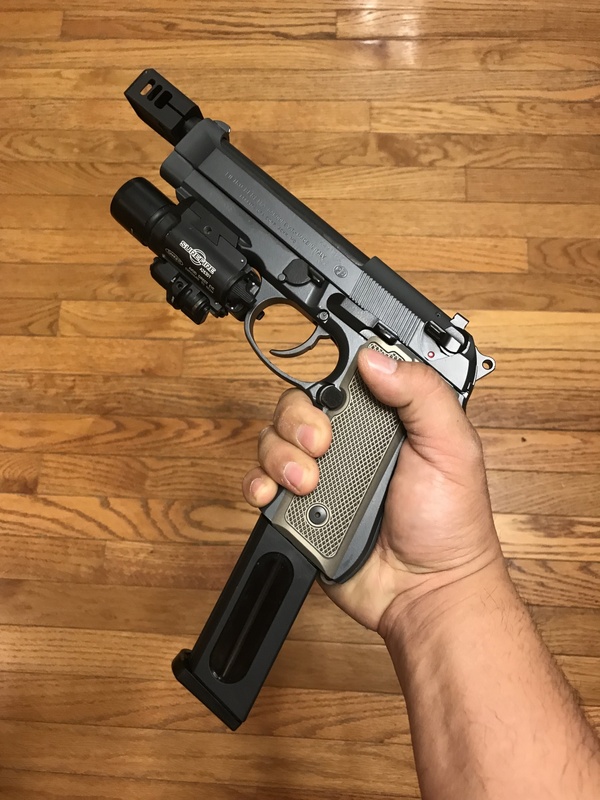 AN The BattleComp idea came from attending shoot-house classes, and having the notion that it was possible to create something that could live in between a muzzle brake and a flash hider. Since we had already spent years in the shop making and fabricating items, we wanted something that couldn’t be found commercially. The BattleComp started as just another project. After it was designed we had a lot of friends who had such positive reactions that they all told me if I didn’t sell the BattleComp to the public, I was being stupid. Even the name Battle Comp Enterprises was a fortunate accident – but that’s a story for another time. ASJ A lot of folks have great ideas but never manage to get them out to the public. What were your first steps? ASJ That was probably the key question to the entire endeavor. It seems like everyone wanted it. AN We would have been happy selling 500 units in our first six months. We sold 350 units in the first month, and at our peak we were selling over 2,500 units a month. Now, we have even more products to share. 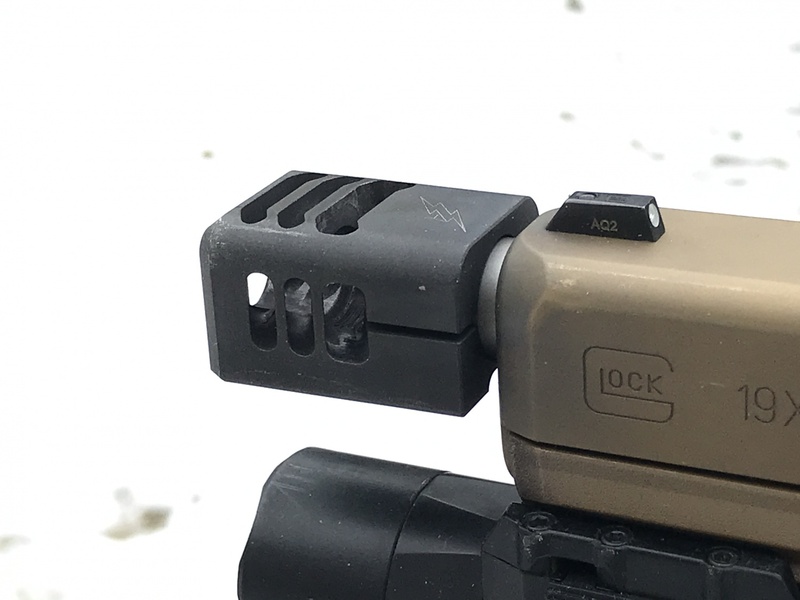 We hope these products solve problems like the BattleComp did. ASJ What about the people who make up Battle Comp and those who started with you? AN We had some relationships that were broken as the success came. We learned the hard way and that old adage, “we do not really lose friends in life – we just find out who our friends really are,” rings true. Friends stay with you when life gets tough. Loyalty is measured in difficulty factor. Successful ventures can make someone popular, especially when they’re buying the drinks. Everyone wants to sell your product when the product is selling itself. We worked hard to gain people’s trust and to earn their loyalty. It’s a difficult balance, and some days it just doesn’t work. ASJ So, what happened? At some point you must have had expediential growth to be so big in such a short time? AN Overall, what we really hoped for was that The BattleComp would solve problems for those who really needed it. 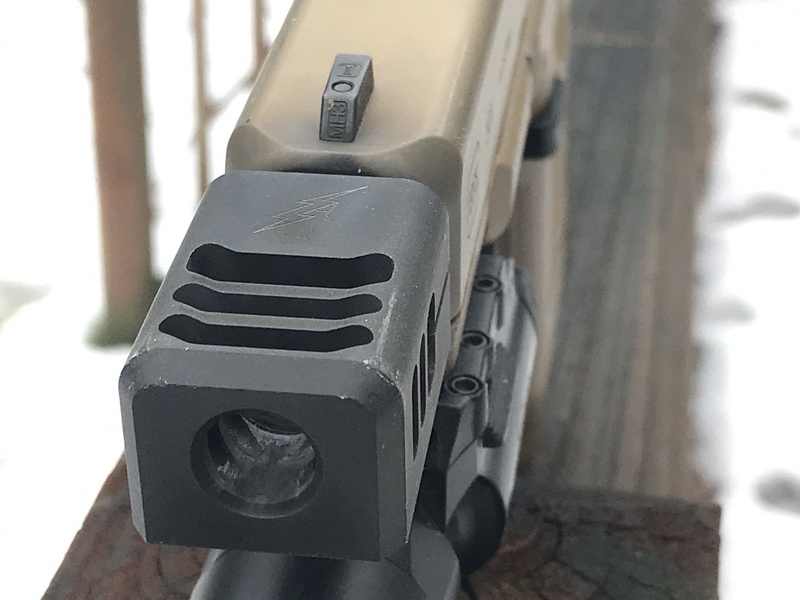 For us, it was never about making money; it was really about getting a call some day that a good guy went home safe because he had a BattleComp on his rifle. We did it for our warriors, protectors and guardians – those who run towards the bullets. Maybe that’s a little lofty, but that’s what we wanted. Our motto, beatus es proeliator, is Latin for blessed is the guardian. A few years ago, we got that call; a deputy who used his BattleComp went home safely after a dangerous encounter. That’s what made everything that has happened, good or bad, all worthwhile. ASJ Who are the people on your core team right now? Who makes up Battle Comp? AN There are too many to name, but in short our COO is John Stankewicz, who runs daily operations. He was a US Navy veteran (gunner’s mate) from 1986 to 1991 and a 14-year law enforcement veteran from northern California. Stankewicz served as a police officer for 14 years in northern California, and also helped form the Peninsula Rangemasters Group, created to bring consistent basic and advanced patrol rifle instruction to law enforcement officers. He also served in the US Navy as a gunner’s mate from 1986 to 1991, and is a veteran of the first Gulf War – Desert Shield and Desert Storm – with a total of three Middle East deployments. 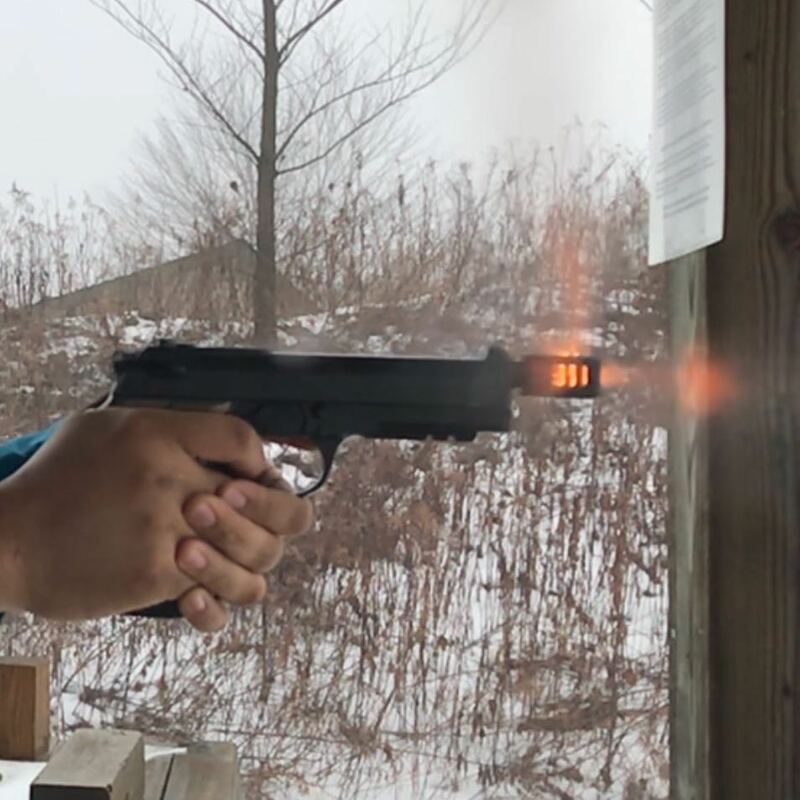 John M. Stankewicz, Battle Comp Enterprises COO, watches over a student operator conducting one-hand shooting in order to demonstrate the lack of muzzle rise when a BattleComp compensator is in use. Kristine Sun handles our industry relations and has been with us from the beginning. I met her at a shooting class. She basically called me and created her own job. We have a number of sales representatives and administrative support who work with us, either full time or on a contract basis. We have accountants, patent lawyers, shop foremen, machine operators and me; I just try to stay out of everyone’s way. We play to the strengths of the players we have on the field. We also enjoy solid friendships with some of the very best people in the industry, from manufacturers, writers and inventors to well-known trainers, and are constantly expanding those relationships. We would not be here if they didn’t believe in us. We try to be a family, and are just as dysfunctional as any other. 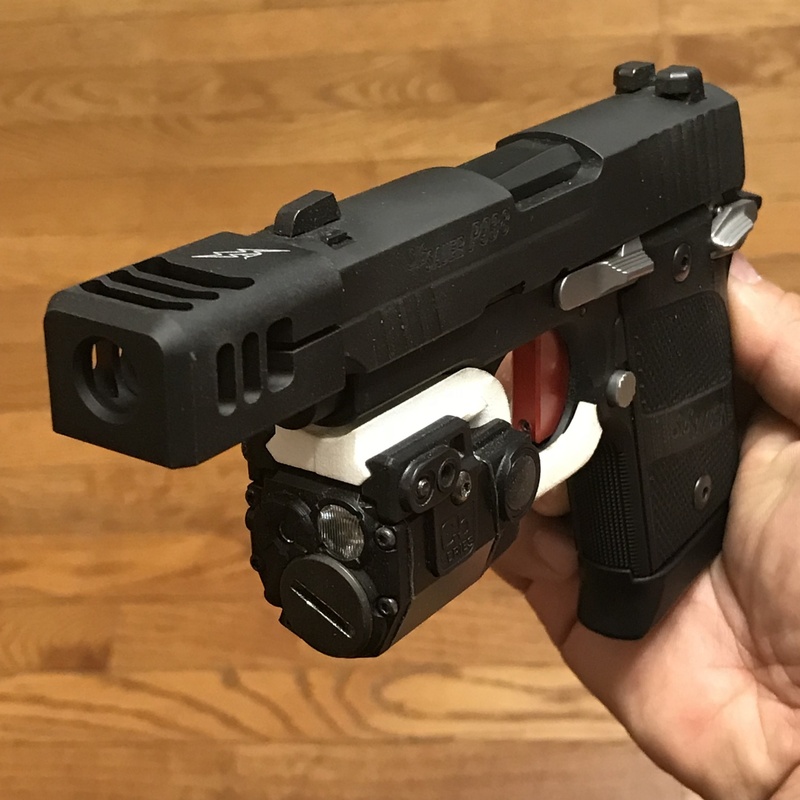 ASJ In my research I have found that most people who have tried or own a BattleComp compensator are impressed with the product, but I have also heard that some feel it is not as good a flash-hider as the A2 (an effective flash-hider design), for example. Can you tell me a little bit about those comments and reviews? 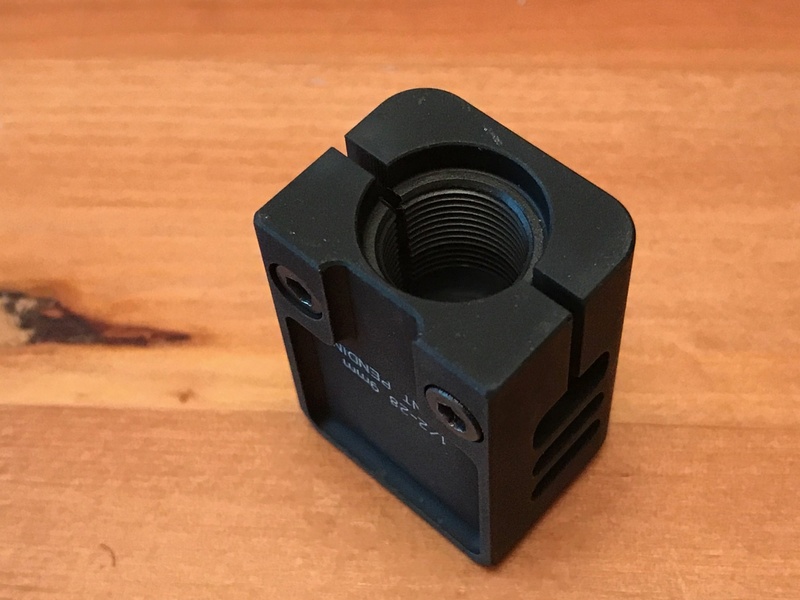 AN We wanted to provide improved muzzle stability over the A2 flash hider for quick follow-up shots without dramatically increasing the concussion or flash that normally attends muzzle brakes. The BattleComp is a balance of those two factors, and with this design we achieved a sweet spot that puts performance directly in the middle. Independent testing by others always ends up with the same results – right in the middle. It is effective in 5.56mm and even more effective with the larger calibers. It always seems that the best way to sell BattleComps is to simply let folks shoot it. 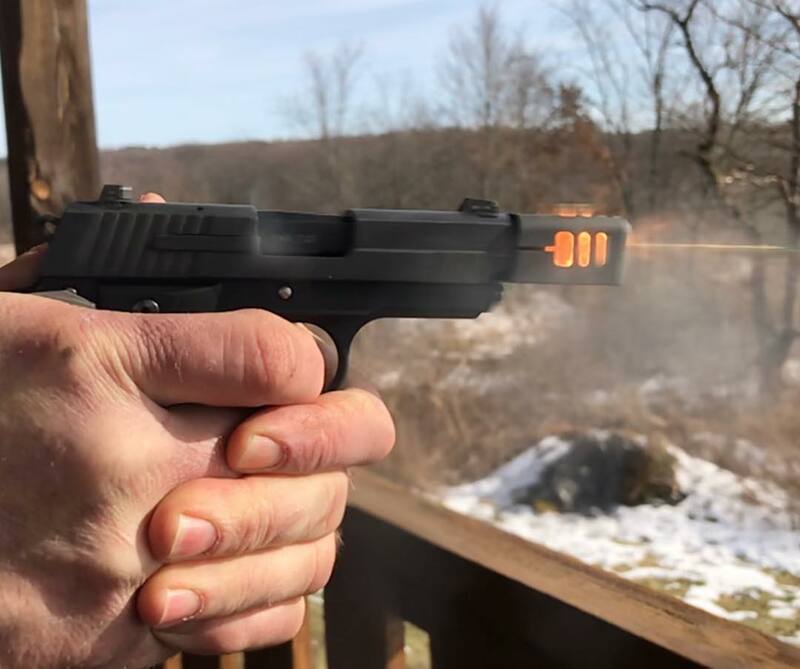 ASJ So your product, essentially, provides the best of both worlds, or as close to it as possible by addressing each action (recoil and flash) in one unit? AN Yes, essentially, that’s what we designed it to do. Like all compromises, it doesn’t really excel in any one area, but it was intended to be as well-rounded as we could make it. It needed to be acceptable in as many categories as we could affect. ASJ What are you most proud of? AN If anything, I would say the most rewarding aspect is learning about the process. In my case, I’m just an old warhorse who had to learn about manufacturing, marketing and demand. There are really only two parts to any business: production and sales. Overcoming the challenges of increasing production to meet demand was a journey, as is trying to market a product during economic downturns. The most rewarding aspect is surviving the changes and trends and being my own boss. It takes courage to take risks, and it takes fiscal responsibility to have the money saved to take those risks when the opportunity comes. Live lean, live simply, and try not get in over your head. The reward comes from the process, and BCE put out four products: The BC1.0, the BABC, the BC1.5 and the BC2.0 in our first six months. That was a cool challenge. It also raised the bar, because it conditioned the market to expect that we would innovate at that rate, but we simply couldn’t. Development takes time. We believe the BattleComp is just as worthwhile as the first day we shot one. ASJ What’s next for Battle Comp? You mentioned more products. Are you interested in growing in other ways? AN In the bigger picture, we recognize we cannot validate shooting as a wholesome activity if our rights continue to erode or we lose the culture war through urbanization and the shrinking of the outdoors. We know that these things will become extinct if we do not steward them properly, and recruit more people into the activity. 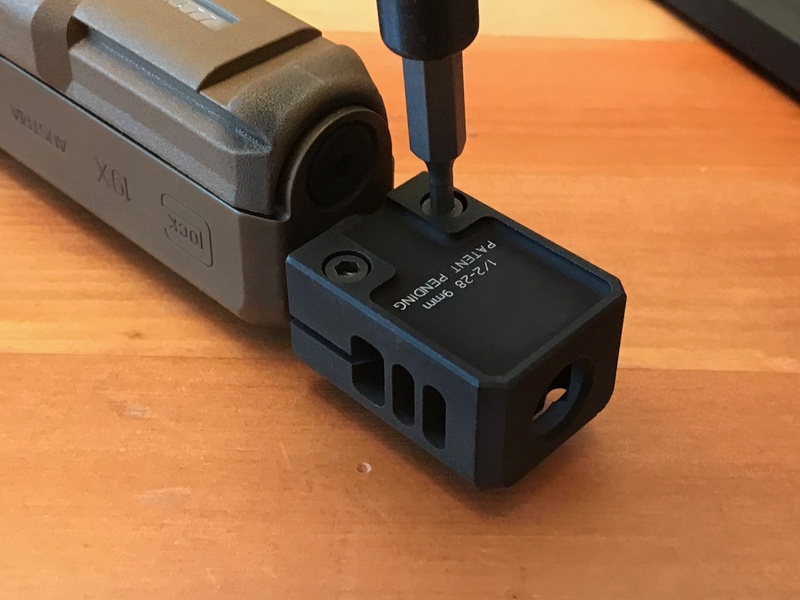 As to new products, we are bringing some semi-custom match slides online for Glocks, with some custom serrations and RMR/MRDS compatibility, match drop-in barrels for Glocks and some match and hybrid barrels for AR-15 rifles. 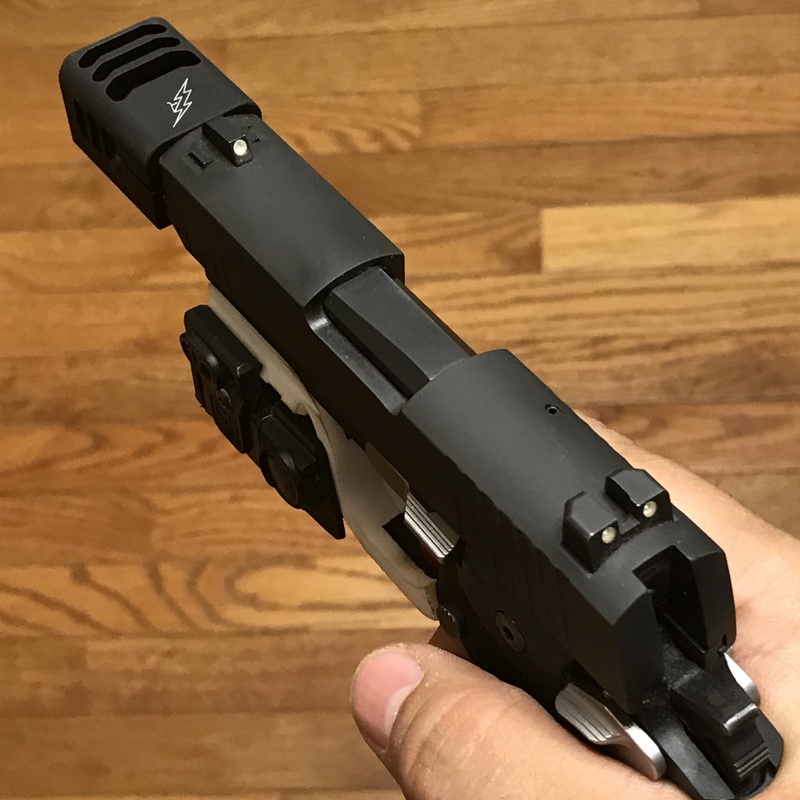 We are also bringing in suppressor-adaptable units, like our BC51.0, as well as working with some industry partners for units compatible with their silencers, too. ASJ What would you give as advice to our readers?